Google is known for being a hub of advertising. After all, it is the owner of the single most visited website in the world, so pretty much every brand out there would be eager to get their wares displayed prominently on the platform thus allowing them to gain access to a much wider variety of users than would have been the case otherwise. However, these ads are based on trust, trust that Google keeps betraying from time to time. The latest scandal involves a fake ad for eBay that was showing up in search results. According to BleepingComputer, this fake ad stayed up for a whole week and lead to a large number of people being scammed. 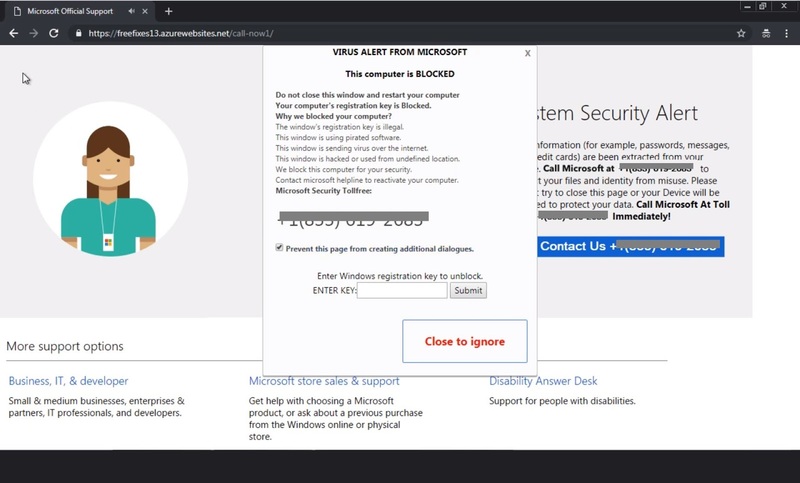 Clicking on the ad would take you to a webpage that would show a fake message stating that Microsoft had blocked your system because you were using pirated software and illegal registration key. Below this message was a number that you could call that was supposedly Microsoft’s toll free hotline. The technique used by these scammers is referred to as cloaking. It is a highly effective technique that manages to fool Google’s ad reviewing protocols, and it is pretty clear just how successful it is at the job it is tasked to do. The way this works is that the link in the ad leads to eBay, but the code embedded in the ad would redirect you multiple times to the scammer’s web page. This tech-support scam was only seen in the US, but what’s particularly concerning is that Google received reports about the scam but the ad still stayed up for several days. Google really needs to improve its response times otherwise ads like this could become a much bigger issue for users. "If you run into other malicious ads in search engines, you can use Google's Ad Reporting Tool and Bing's Low quality ad submission & escalation form. ", explained Lawrence Abrams in a blog post.